cqrlog 2.3.0-1 and stack trace in remote mode for wsjt. I state that i use debian "buster". With the previous version 2.2.0-1 the remote mode for wsjt worked well with CQRLog. With the new version 2.3.0-1, when I register the QSO in FT8 a pop-up of CQRLog opens with the warning of an access violation and I have two options: "CANCEL" or "SAVE". 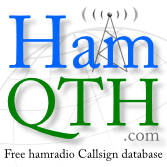 if I click on "SAVE" I run the risk of corrupting my data, if I click on "CANCEL" CQRLog disappears and only WSJT-X (1.9.1) remains active, however the contact is registered on CQRLog, as well as automatically it is uploaded on CLUB LOG and HAMQTH. Below I have extracted the relevant debugging part of CQRLog. You can see a stack trace. If this happens when wsjt-x remote is on, but CQ-monitor (or Wsjtx map) is closed you can pass this with OK safely. Quick fix is to open CQ-monitor (and minimize it if you do not like it, but not close). There is one variable reset after logging and if CQ monitor is closed it does not exist. So it is a clear bug. I can reproduce this by keeping CQ-monitor closed. I have fixed this bug (I think) and made also some changes to the function "sTx" that caused this bug. It should now drop TX (if checked) also if split answering to CQ is done from wsjt-x main screen line. And did changes to corresponding help files. For testing the bugfix it is enough just to unzip only the cqrlog binary itself and replace current /usr/bin/cqrlog with that. If it works as should I'll do pull request to cqrlog-master later. Re: cqrlog 2.3.0-1 and stack trace in remote mode for wsjt. Great work Saku! Please create pull request only with that bug fix, I'll merge it to master and also to 2.3.x branch which will be 2.3.1 bug fix version. thank you for quickly fixing the bug. Your version of cqrlog works well and I will use this for now. Test binary "cqrlog2", access is now denied. access to your web page http://www.saunalahti.fi/~sakny/bin/cqrlog2/ is now denied "Error 403". It was appreciated for the timeliness of bug fixes and the ease of applying them to the current original version of cqrlog. The last version I downloaded from your web page was 2.3.0-003 with a cqrlog binary of about 52 MB, much larger than the original. Last week my ISP tried to sell me new VDSL replacing my ADSL connect. They have a new concept, direct translation form finnnish "block fiber". That means they have fiber to a box along street and last meters to customer are fed with copper wire. How ever this did not work as nearest fiber is over 1km away (that I told them, but they did not listen to me). So they switched my account to new, and then back to old as vdsl did not initialize. I suppose that effected also to web pages as my account is somehow recreated to get old settings back. I have to make a note to my ISP. I hope they get pages back, otherwise I will inform a new address within few days. My ISP has now returned access to my web site and fortunately all data is still there. The size of 2.3.0-103 was big because it was compled with error tracking on. I have now uploaded (from same source) new files without error tracking. They are smaller and faster to execute. There should not be any other differences. Thank you Saku for putting your skills at the service of an excellent free software like cqrlog. thank you for your speed to correct the bug. Everything works on my side. I applied the remedy advocated by Saku (binary 2.3.0-101). Thank you again for maintaining this great software. Registered and came here just to let you know I had the same issue, went through the apparmor + lotw.txt fixes to no avail and found this thread. The -101 works correctly and solves the issue on my 16.04 radio box. Just wanted to add my thanks to you for the bug fix! OK, I know that this thread is a little old, but my problem is directly related to this bugfix. Since I just recently installed wsft-x (1.9.1) and I was using CQRLOG 2.3.0-1, I thought I would install this bugfix before starting to work FT-8. My OS is Kubuntu 18.04 64-bit. I downloaded the cqrtest230-102_i386.zip file and installed per the instructions in the README file without any problems. I tried to start CQRLOG from the Task Manager and nothing happened. I also tried to start from the Application Menu and got the same result, Nothing. I checked to verify that cqrlog was in the /usr/bin/ folder and was executable, and it was (see below). I then tried to start cqrlog from the terminal and the OS does not find the file. Could this be because cqrlog was compiled for 32-bit and I am using the 64-bit version of Kubuntu? Or is something else causing this? I followed the instructions in the most recommended answer, but it does not fix my problem. I re-installed CQRlog 2.3.1 from the repository so I could operate again. When I made my first wsjt-x contact and tried to log the QSO, I had the exact problem that the original poster had. the one that has name cqrtest230-102_i386.zip is for 32bit systems. So you should chose cqrtest230-102.zip and try with that. It is the same binary that I use every day in my Fedora27-64bit. Updated readme_install.txt in my web site. It now states difference between 32 and 64 bit versions. Also fixed some errors and video link (now to YouTube). Thank you Saku. That fixed my problems.